Last weekend I discovered a lake, well “discovered” not being the right word, it was discovered a long time ago but newly by myself just the other day. Whenever I fly to Sydney I usually take advantage of a window seat so I can see from above the beautiful landscape we have in the northern rivers of NSW (New South Wales). It gives me an opportunity to see parts that I would otherwise not see from the road. One such find was a lake which I had no idea was there in an area I worked out was around Cabarita/Pottsville. I thought to myself I must investigate but by the time I returned it was out of my mind to do so. 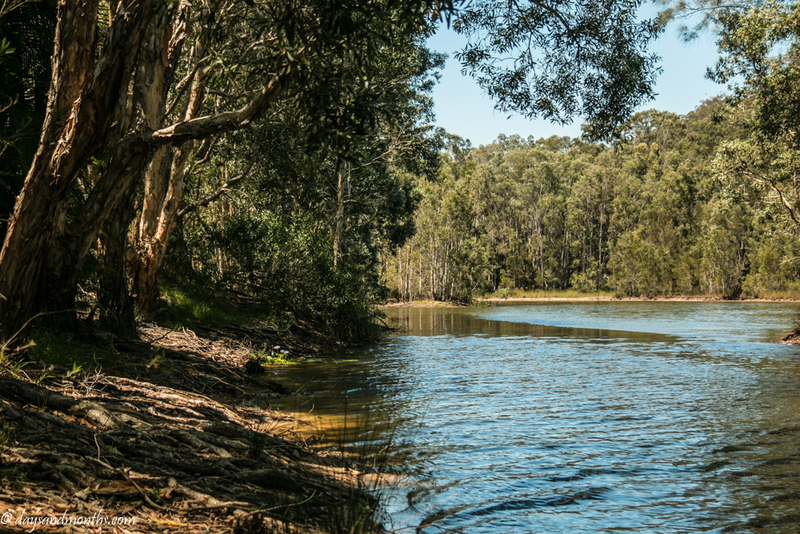 Luckily on Facebook a photographer had posted a picture of a lake at Cabarita and it all fell into place. I hopped in my car and shot down there to have a look for myself. Some signs say Cabarita Lake but really it is Cudgen Lake as it feeds off Cudgen Creek. It is a hidden wetland surrounded by flood plains and forest. Mt Warning can be seen to the west of the lake and Round Mountain to the south. It is a lovely area for a picnic by the lake. Canoing, sailing and kayaking are allowed but no motors. There is a boat ramp close by to access the lake for these pursuits. The lake and surrounding wetlands is also a fantastic spot for birdwatching. Look out for waterbirds like the Australasian grebe or the white-faced heron. It is on my list to go back for a beautiful sunset and in the cooler months to walk around and explore more freely without the worry of stepping on a snake or two! Lovely gentle images for a Sunday morning Kaz! I work Sundays so my weekend is Monday and Tuesday! Have a good week anyway Kaz! Such a lovely lake and so peaceful and pretty. Those water lilies are lovely. What a find. It looks lovely. 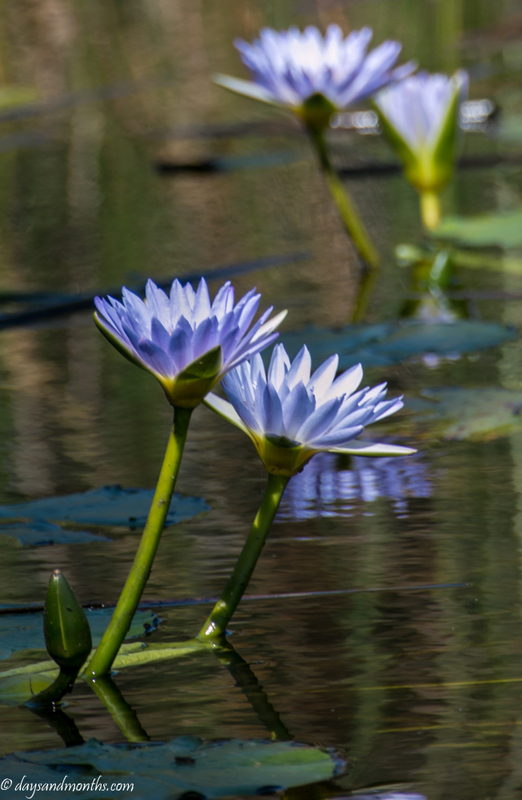 love those blue water lilies, great shot Karen. Whooho scorcher lol. Even here in different parts of our country its still quite cool. Their maximum is or minimum. I’m not sure what to pack! !